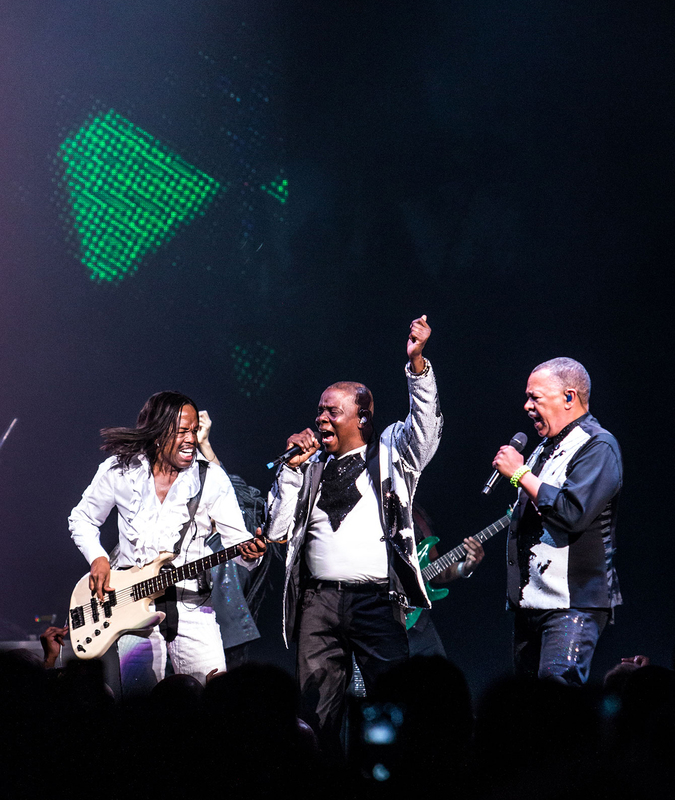 Earth Wind & Fire | 2054 begins! Our 2054 tour with CHIC featuring Nile Rodgers is off to an amazing start! Ladies and Gentlemen, I sit in my office, a high powered female exec, 59ish (going on 21) with tears in my eyes and write to tell you that the DC concert last night was life changing for me. I was the tall blonde front row center with one of my best friends who is younger but still grew up surrounded by your music, trying to convey how much you, your values and music mean to me. I graduated in ’76 so you know I still have all your albums, Sister Sledge’s albums and have been singing “Shining Star” to motivate myself if I feel down. Can’t wait for you to come back to Jersey! My 13-year-old son is a huge fan! He needs to see a show. Mr. Verdine White, I interviewed you when I worked at VH1 Classic back in 2005. Dear Sirs, When are you coming to Porto (Portugal) ? who studies music, is you fan too. You are a great band . keep up the good work ,and may God bless you richly. I have been following youfor 40 year sounds great.Love you guys. H. Walker milw. Wisc.